Here are Sky's concluding thoughts on our September read, The Jungle Books , by Rudyard Kipling. I hope that you enjoyed this foray into the stories of Mowgli, the Free People and the other in-dwellers of the jungle as much as I did. As I followed the story of this man-cub a few things stuck out at me. The practice of "Jungle Law" as shown in this book reminded me of the laws of creation. Because there are specifics in which the creatures obey their own laws and impulses given to them as instinct by their own Creator. I love that the wolf mother decided she would keep her "frog baby" and fight for him. I think each mother would agree that there comes with our motherhood the innate instinct to protect her children. I love that her adopted son was given this instantly. I also very much enjoyed reading the story of Rikki-Tikki, the mongoose who saves his friends, human and otherwise, from the evil cobra family. We had a ferret whom we loved and I could see her in this roll as a hero. I love the roles that animals play in our lives; fantasy or family pet, God gave us the privilege and responsibility of taking care of all earthly things but I think that they are also here to take care of us a bit, not just for food but also for championship and companionship. For the most part I love Kipling's writings. If you have not read Kim yet, you should try it. 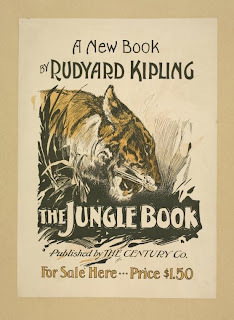 Kipling has a clever way of being descriptive about the surroundings and characters so that you feel you know the people (or animals) and can see the environment around them. I am thankful for his writings. The Jungle Books was my first theater movie. It is still one of my favorite Disney movies ever made. 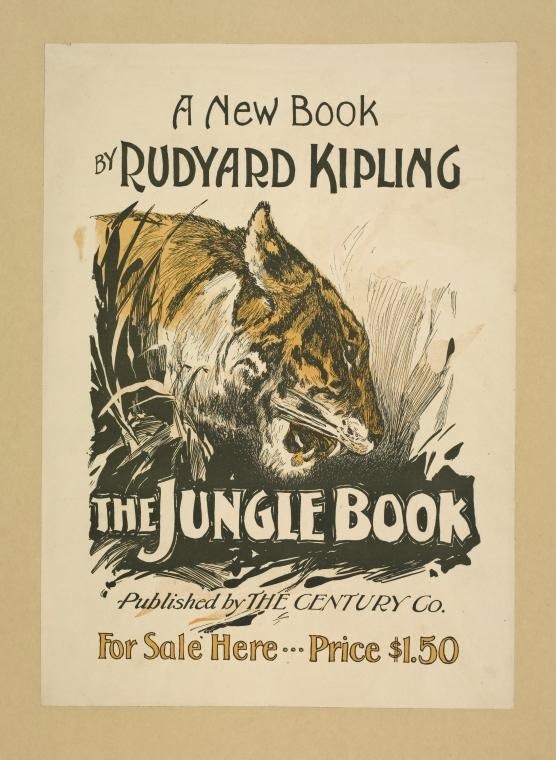 Yes, there is a difference in story but it definitely would NOT be as rich a story line if it weren't for Kipling's jungle. When my Mr went through survival, evasion, resistance, escape school for his military career they played a recording of "Boots" written by Kipling and recorded by Taylor Hudson in 1915 as a demoralizing tactic. It works. Anybody who went through SEER will shiver at the mention of "boots, boots...." Kipling's works have a connection to the troops on the ground - read his "Tommy" and see. As for Mowgli and his world, I am glad if you visited with me and I hope that it added a little something to your own. I enjoyed the company of talking animals and it reminded me that imagination and fantasy should teach us to think about the world we each live in as well as the worlds other people live in. Thank you, Sky, for hosting! 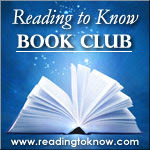 Did you read along with us this past month? If so, please share your thoughts and opinions on The Jungle Books with us in the comment section below. If you have a blog post sharing your thoughts, please leave a link below. Thanks, Sky, for this reading experience! It was not what I expected it to be but I enjoyed it. My favorite was about Mowgli and then Rikki-Tikki-Tavi. My post will be up tomorrow. Here's my post. I really enjoyed reading this book! It was definitely not what I expected, even being as aware as I am that books are rarely like the movies. I didn't particularly enjoy the book but appreciated it. I too enjoyed reading about the laws of the jungle and how the animals obeyed those laws. I appreciated how the animals protected those in their families and those they felt a responsibility to protect. My husband read this book as a child and said he really enjoyed it at the time. I have a feeling I would have liked it better as a child but can definitely appreciate reading it as an adult. I wish I had time to write more about Kipling and these books, but it's Symphony week, so I did what I could. Sky, I love your references to the poems.